An interwoven tale of family, friends and strangers in this novel brings together many different characters. Monique and Geoff are getting married later in life and causing some problems for their families along the way. Having a wedding planner who has no clue what she's doing certainly isn't helping the show run smoothly. In fact, the whole thing may never happen at all. 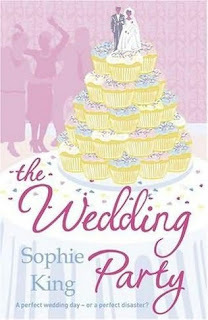 I enjoyed The Wedding Party which is typical of British Lit and/or British Chick Lit where there are multiple characters, told from all of their points of view in the third party and revolves around a small town where most of the characters know each other or have threads that tie them together. This story was well told, each individual character was well defined and the transition from one character to another in chapter form left me wanting to continue each of their stories. I did get a little tired of the story suddenly jumping forward in time when each character’s thread continued and we were ‘told’ in some recap form of what happened. I didn’t notice this until much later in the story however and it didn’t bother me for long, and I’m hoping I’m the only one that notices this. I enjoyed the plot with all it’s twists and turns and was surprised at the ending which is always nice and enjoyed the characters, although didn’t fall in love with any one of them. 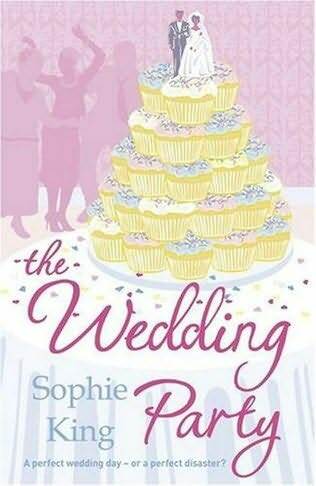 If you love British Chick Lit of the above described style, you should enjoy The Wedding Party! I really enjoyed The Wedding Party! There were multiple characters, lots of separate story lines and many different sub-stories but it wasn’t confusing! Sophie King was very careful that the different voices were clearly defined at the beginning of each section, it may have taken me a moment to remember who each one was but I was completely hooked only a short way into this novel. There is a daughter, Becky, whose parents are divorced and her father is remarrying- someone she doesn’t like. Her mother is also dating someone but doesn’t seem too keen to remarry herself- instead she’s interested in one of her clients. Becky’s friend Janie has just been fired from her wedding planning assistant’s job and decided to set up her own business. Unfortunately Janie is a little scatter-brained and her business partner is not much more organized. Lastly there is the vicar, set to perform her father’s second marriage, has her own set of problems. Each character was alive for me and I loved every one of them. I was disappointed when it ended!